In this case tensile strength of the concrete will be exceeded, and the concrete will crack in tension zone. Because the concrete cannot transmit any tension across a crack, the steel bars will then resist the entire tension The concrete compressive stress distribution is still assumed to be linear. Here the compressive strains and stresses are increased, with some nonlinear stress curve on the compression side of the beam. This stress curve above the neutral axis will be essentially the same shape as the typical concrete stress–strain curve. Tension steel stress fs is equal to yield stress of steel fy. Eventually, the ultimate capacity of the beam will be reached and the beam will fail. For design strength, the shape of the compressive concrete stress distribution may be simplified. The determination of the moment strength is not simple because of the shape of the nonlinear compressive stress diagram above the neutral axis. 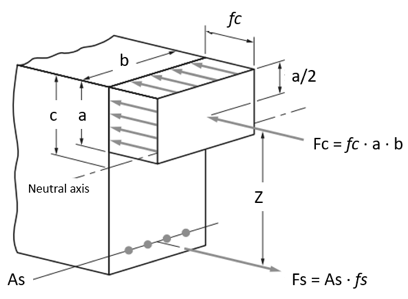 For purposes of simplification and practical application, a fictitious but equivalent rectangular concrete stress distribution was proposed by Whitney and subsequently adopted by the different design codes, like ACI 318, EN 2, AS 3600 and others. With respect to this equivalent stress distribution as shown below, the average stress intensity is taken as fc(at ultimate load) and is assumed to act over the upper area of the beam cross section defined by the width b and a depth of a. 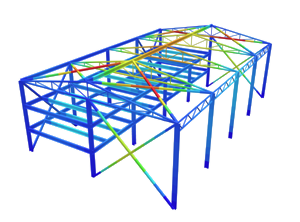 In different design codes parameters a is determined by reducing c with factor. Concrete strength fc is reduced as well. For example according to the ACI 318 code fc is reduced by 0.85 and a by β1 factor that is between 0.65 and 0.85. 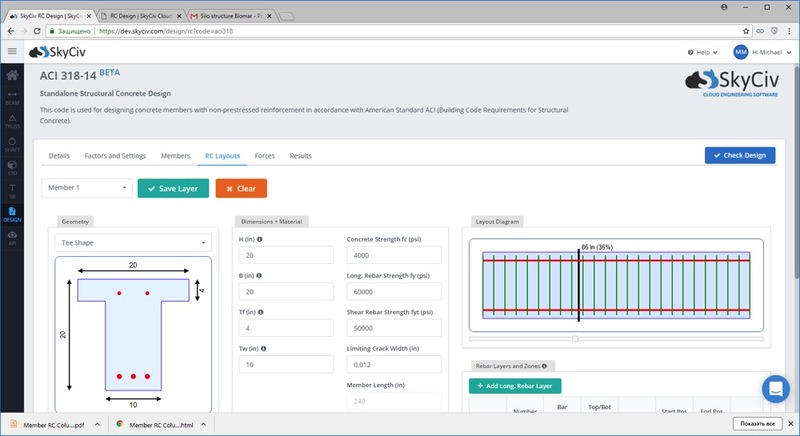 All this procedure is totally automated in SkyCiv Reinforced Design Software, where an engineer can easily define reinforced concrete beam with acting loads and determine the sections capacity. 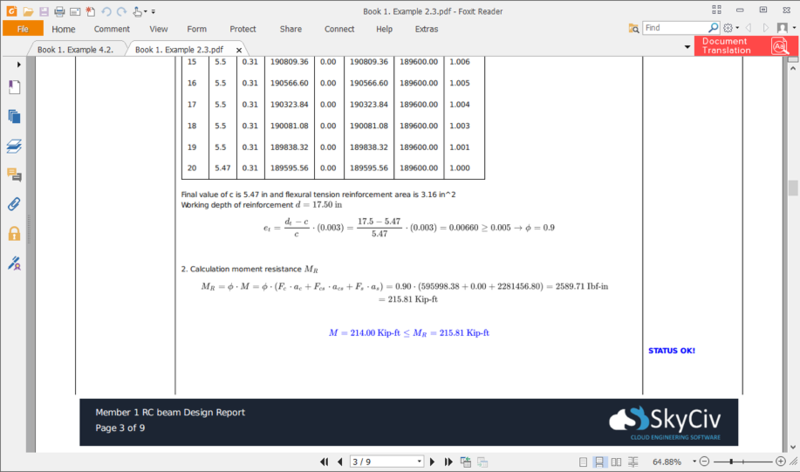 This and all other design check calculations can be seen in detailed design report that is generated by SkyCiv after analysis.